The BVP 10/30 single direction plate weighs in at just 47kg and has the lowest hand/arm vibration level of any comparable plate. 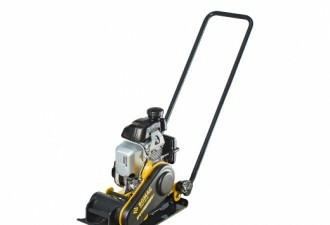 This plate is designed for the rigours of the hire industry and has a cast steel base plate, powered by a reliable 2.1kW Honda petrol engine. 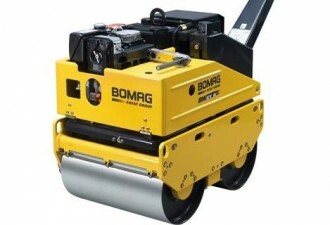 Experience the difference in the two model Bomag Single Drum Vibratory Rollers range for both earthwork and asphalt applications. New construction and repairs of pavements, hard shoulders, cycle paths, yards and drive ways, children playgrounds, tennis and sports grounds as well as agricultural and forestry road construction. 560 or 710mm working widths. 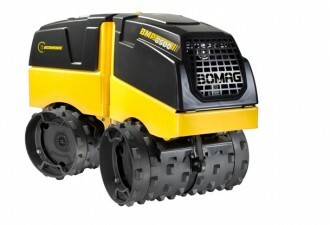 Both models of Bomag Double Drum Vibratory Rollers feature high output double vibration. Fields of application are earthwork and asphalt. New construction and repairs of pavements, hard shoulders, cycle paths, yards and drive ways, children playgrounds, tennis and sports grounds as well as agricultural and forestry road construction. 650 or 750mm working widths. Multi-purpose means more value. 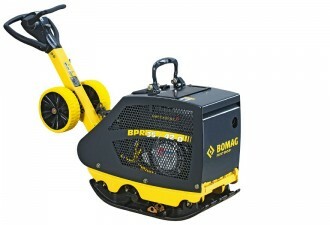 The BMP 8500 has a 650-750mm working width and finds itself excelling in earthwork, trench and sewer line construction, backfills and foundation work – wherever high demands are placed on mobility, manoeuvrability and simple operation under severe soil conditions. Tried-and-tested technology in a modern concept, that’s the seven model light articulated steered tandem roller range under 1.8 tonnes. Fields of application are compaction of asphalt layers and wear courses on small and confined construction projects. 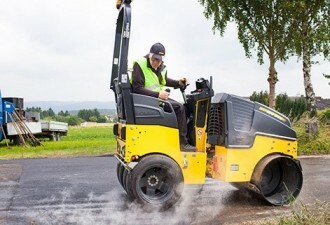 Due to the excellent sealing of the surface and the good adapting abilities of the rubber tyres to marginal areas and joints, the machine is particularly suitable for walkways and cycle paths, car parks and all types of repair works. 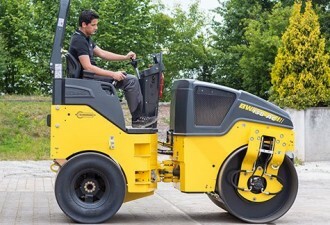 There are four models in the 1.8-3.0 tonne Bomag light articulated steered tandem range of flexible high-utilisation rollers with compaction control. Fields of application are earthwork and asphalt applications. New construction and repair work for medium and small scale construction projects, on car parks, pavements, cycle paths, playing fields and sports grounds as well as rolling of joints in road construction. 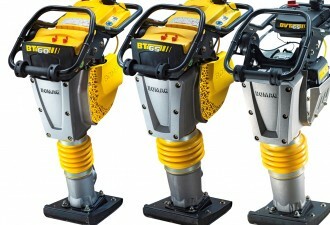 Three multi-talented models with compaction control form the Bomag 3-5 tonne light articulated steered tandem roller range. 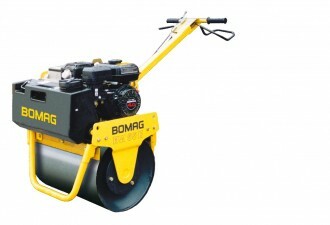 Fields of application are compaction of asphalt layers and wear courses on small and confined construction projects. 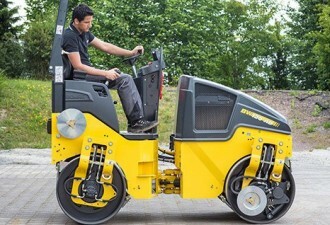 Due to the excellent sealing of the surface and the good adapting abilities of the rubber tyres to marginal areas and joints the machine is particularly suitable for walkways and cycle paths, car parks and all types of repair works.